Vidhi and Karan’s wedding anniversary celebration was a toast to a love story that blossomed at college and grew into a strong bond of marriage. Dressed in yellow with delicately paired up with sparkles, her ever engaging smile unveiled the challenges and rewards of a successful marriage. Karan in black and denim, opted for a look you would associate with a man of taste. Shraddha Ladies Club’s installation had Anu turn up in whites. From the watch to the handbag to her top, everything fell in place perfectly. 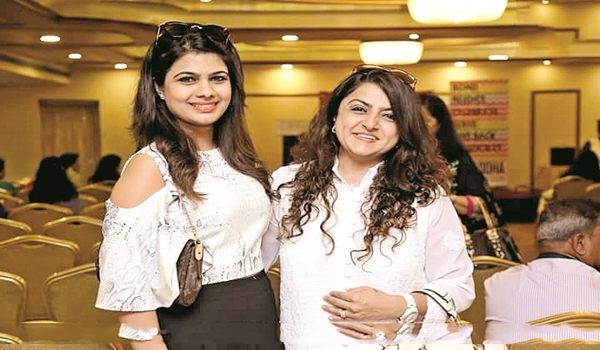 Nikita’s trunk show at Hotel Taj Deccan got the attention of many fashion fiestas of the city. The host carried off an Indo-western peach outfit which earned her many praises. Aparna, who looked composed in white teamed with earthy brown, was an example of ageless style. The romantic weather with occasional downpours from the happy rain Gods made this a fun-filled week. Monsoon Tip: Chew five basil leaves every morning on an empty stomach to up your bodya�?s immunity level.